This 110 x 80 mm photobooth image is probably an enlargement from a standard sized smaller original. Photobooth machines were originally to be found in photographic studios that offered extra services such as framing, hand colouring and enlarging of your strip of pictures. 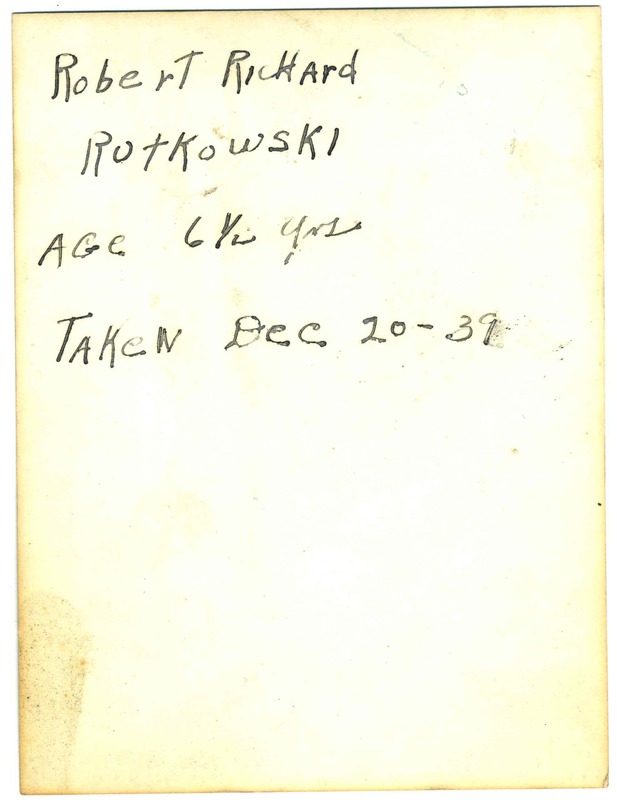 Being only 6 1/2 years old I imagine Robert Richard Rotowski’s hat was worn only for the sake of this photo. However, given that it fits so well and he is generally so finely dressed, it may have been a hat he wore regularly. 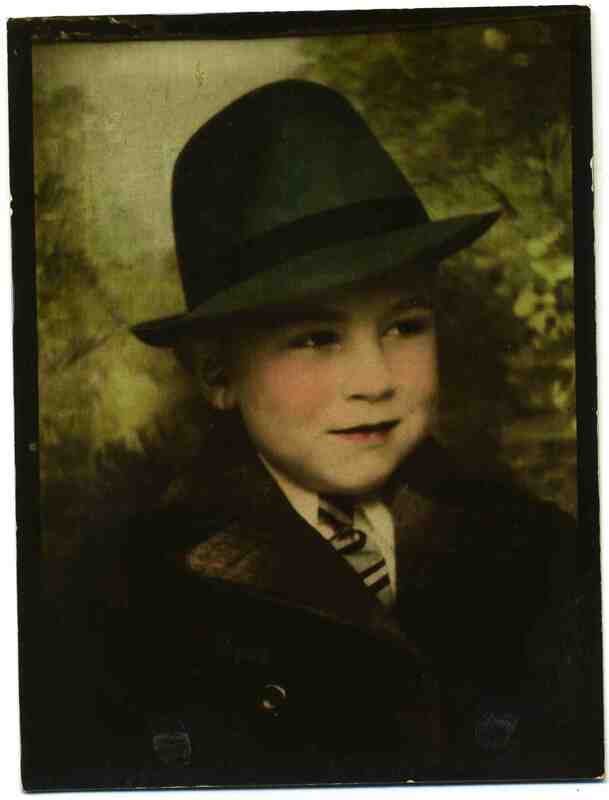 I have another hand coloured image of another boy wearing the same type of hat, from the same era. Maybe it was the fashion for kids to dress like their da’s back then? If anyone can tell me the name of this type of hat, I’d be grateful! Is it a homburg, a trilby or something else? Often photo studios kept props of all sizes on hand to lend to the subjects/customers for the shoot. Wow Alessandro. I didn’t realise about the props being available in house. He does look like a little mobster and I have one or two other aspiring gangsters to publish soon too. Thanks for the info and comment! Firstly, what a great blog and really amazing content. Its focused, its no non sense and its beautiful. I love it. Secondly, you have amazing taste to find such brilliant material Katherine. Oh yes and no where your email address so one can mail you? Hi. Thank you so much for the compliments and comment! I hope to have time to explore your wonderful blog in more detail soon. I will send you my email address privately.